Whether you are a parent or work directly with teens, here you can read about some concrete social/emotional skills and useful activities that can help teens practice them. We will cover basic information about Listening skills, Assertiveness, Emotional awareness, and Nonverbal communication. Whether we call them soft skills, social/emotional skills, social/emotional intelligence or growth mindset, there is a consensus among researchers and practitioners that we need certain abilities to achieve our fullest potential at school, in our professional careers, and in our private lives. These abilities help us recognize and manage our emotions, cope with obstacles and life challenges, and enhance communication skills and good interpersonal relations (including empathy). Besides acknowledging the importance of social/emotional skills such as perseverance, sociability, and self-esteem, the report discusses how policy-makers, schools, and families facilitate the development of social/emotional skills through intervention programs, teaching, and parenting practices. All these abilities are interrelated and their development starts at home and continues throughout the school years. If parents and important adults show a high level of social/emotional maturity, it will be easier for kids to acquire these abilities simply by modeling their behavior. However, it is always useful when children and teens have a chance to practice social/emotional skills under the guidance of experienced adults. The best case scenario is when programs for enhancing social/emotional skills are an integral part of an educational system and a local community’s initiatives. Below, we will look at some important social/emotional skills and suggest simple activities for practicing them, adjusted to teens. Being able to hear what people are really saying is a valuable communication skill that has a major impact on the quality of our relations with others. You’ve probably already heard about Active Listening, a skill that allows us to hear not only the words people are saying but also the emotions they are reflecting through their nonverbal behavior. Both are important in understanding the whole message being communicated. This is a complex skill that can be practiced. In the following activity, the focus is on practicing concentration; listening to the verbal message with undivided attention. You can practice this activity with a group of teens in your home, in the classroom or in a workshop. Firstly, ask all the participants to sit in a circle. The first person starts to tell a story (whatever he/she wants). After 3-5 sentences, say “stop” and randomly choose another participant to continue. This person now has to repeat the last sentence said and then continue making up the story. If he cannot correctly repeat the last sentence after five seconds, he is disqualified. The game continues with the same rules and the winner is the last person remaining after everybody else is disqualified. This is the competitive version of the game. However, you can make up your own version, without disqualifications or adding new elements that you find useful. Ask participants to reflect on the game. When and how was their attention distracted? What helped them concentrate and remember the previous sentence? Check out our forthcoming online training Let’s Make a Deal – active listening is one of the objectives! Assertiveness, as a style of communication, is characterized by the ability to directly and confidently express our genuine opinion, feelings, or attitudes, such that the rights of others and social circumstances are respected. 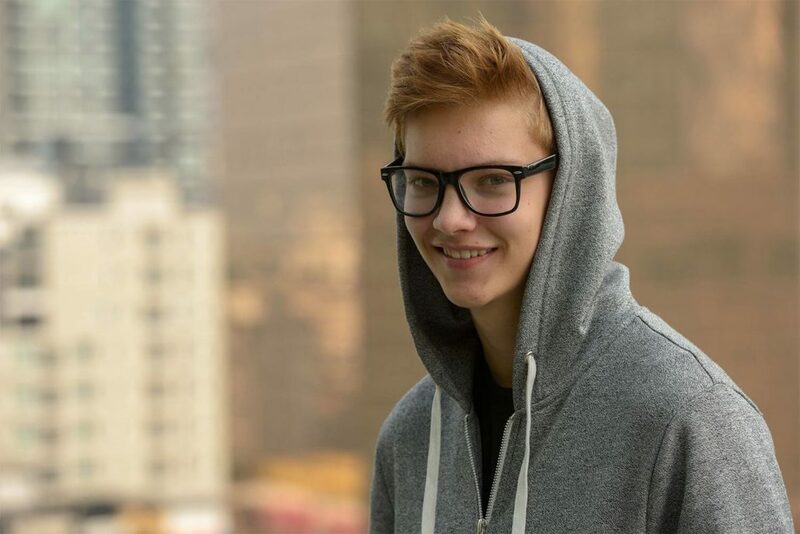 It is proven that assertiveness affects our self-esteem and self-confidence, so there’s no doubt that practicing assertiveness is useful for teens. It is a complex skill that can be acquired through a training program led by a trained coach/therapist. However, some aspects of assertiveness can be practiced through simple exercises at home and in a school setting. Maybe the most important point is to assure teens that it’s okay to claim their rights and to ask, to initiate, to express their opinions and feelings. That it’s okay to say NO to other people in a respectful way. In this exercise, the focus will be on encouraging teens to initiate a conversation in which they will ask something of others and express their opinion or feelings. It can be practiced as social challenges given to teens either by their parents or teachers. Firstly, a list of social challenges is created, taking into consideration a teen’s age or social needs. Challenges can be written down/printed on separate cards. If given consent to take part in the challenge, a teen takes a random card and his task is to do what is required on the card in the next 24 hours or over several days, as you jointly arrange. Challenges can be practiced once a week or according to whatever schedule you agree upon. Call customer service at your favorite store and ask for information about some product you like. Tell your best friend what you like about him/her. Ask a teacher (or a coach) for clarification of a task you didn’t understand completely. After the task is accomplished, it’s important to discuss with the teen how the particular challenge made him feel. Did he find it easy, hard, awkward, or something else? What could be alternative ways to ask, to express? How did others react? The inspiration for this activity is taken and adjusted from the Speech Bubble SLP. We have already written about self-awareness as the basic ability to understand our own inner processes and to relate adequately with others. Emotional awareness, in this context the ability to recognize our own feelings, is the foundation of emotional intelligence. Besides helping us be aware of our emotions, these skills are important for developing emotional intelligence, according to Daniel Goleman and his bestselling book Emotional Intelligence. Understanding why we feel a certain way and knowing how to handle these feelings, including self-motivation; the ability to recognize the feelings of others (empathy) and to motivate them – these skills are crucial to success and happiness in every aspect of our lives and in our relationships with others. In the following activity, the focus is on getting in touch with eight emotions a teen chooses, raising awareness of how a particular emotion manifests itself, and how it affects the teen’s life. It is based on art therapy principles and is performed individually. However, it can be practiced in groups, too. You need a white paper and colored markers. Firstly, ask a teen to draw a circle and divide it into eight pies. Then, ask him/her to dedicate each pie to one emotion and fill in each pie with a corresponding color or images that match his/her idea of what the emotion means to him/her. It may be that a teen has a problem coming up with eight emotions. You can assist him but never choose instead of him. Don’t push if he can’t come up with eight. Work with whatever he manages to present. After the teen is done with the drawing, initiate a dialogue. You may find these questions useful: What does each image mean to you? What made you choose those particular colors? When in your life do you experience this emotion? What emotion is dominant for you nowadays? What emotion is the hardest to handle? And so on. 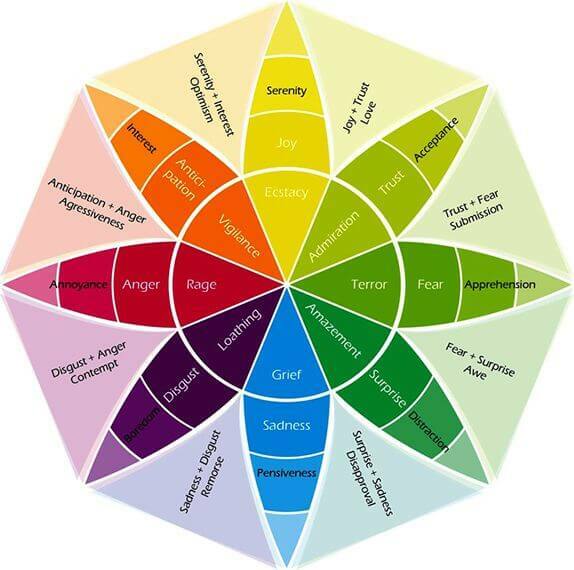 If a teen has a problem in coming up with emotions, you can use Plutchik’s wheel of emotion to help him recognize emotions he would like to work on. This exercise is taken and adjusted from the Art therapy directives BlogSpot. Good understanding of nonverbal communication is a sign of social and emotional intelligence. The ability to observe and understand nonverbal signs during communication, or any other interaction between people, gives us tremendous information about the real message being communicated. It is especially important when we notice that the verbal message and nonverbal behavior are not harmonized. It also gives us a clue about the motives of the person we are communicating with or their emotional state. Besides what is said, it is always important to follow HOW it is said. Basic nonverbal aspects of human behavior to be aware of include eye contact, the tone of voice, facial expression, gestures, personal distance, body language, and posture. The following activity, based on acting and improvisation methodology, focuses on recognizing the emotional state of participants exposed to simulated social situations, through observing only their nonverbal behavior. A group is needed for this activity. Ask a volunteer from the group to leave the room. Separate instructions are given to him/her and to the group, who stays in the room in order to prepare for the final scene. While the volunteer is outside, each individual in the group has to choose one emotion and must express this emotion only through nonverbal behavior (acting). Remind them of the different aspects of nonverbal communication. Meanwhile, the volunteer outside is given the task of coming up with several social situations familiar to teens such as: in class; during family dinner; on a date; at a birthday party; working on homework, etc. Finally, when the volunteer is back to the room, he sets the scene: You’re in class (for example). All members of the group act as if they are in the classroom, including expressing their chosen emotional state nonverbally. They can use their voice but only in the form of inarticulate sounds. The volunteer observes their behavior and tries to guess how they feel. If he is confused, he can put them in another social situation (or only for fun:). The game can be repeated several times with different volunteers, emotions to guess, and social situations. After it is revealed which emotion has been presented by each member of the group, a discussion follows. You may find these questions useful: What are the main nonverbal indicators of this emotion? How did you feel while acting? Did anybody have difficulties acting in the scenes (why)? What do you usually do when you feel (this particular emotion)? What do you usually do when you recognize somebody acting like this? Was there something confusing and what? – A question to the volunteer. 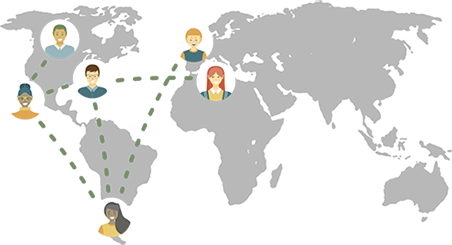 Depending on available time and the goal of your group work you can go even deeper into a conversation about particular emotions. If you are interested in activities useful for teen’s emotional development, you may like this article. THE BENEFITS OF ONLINE LEARNING WHY DO THE ARTS MATTER? Schedule a free 30-min consultation!